Research, Research, Research! Research information about specific companies attending the event. Focus your job search; identify what you want in a job and company. Update and target your resume. 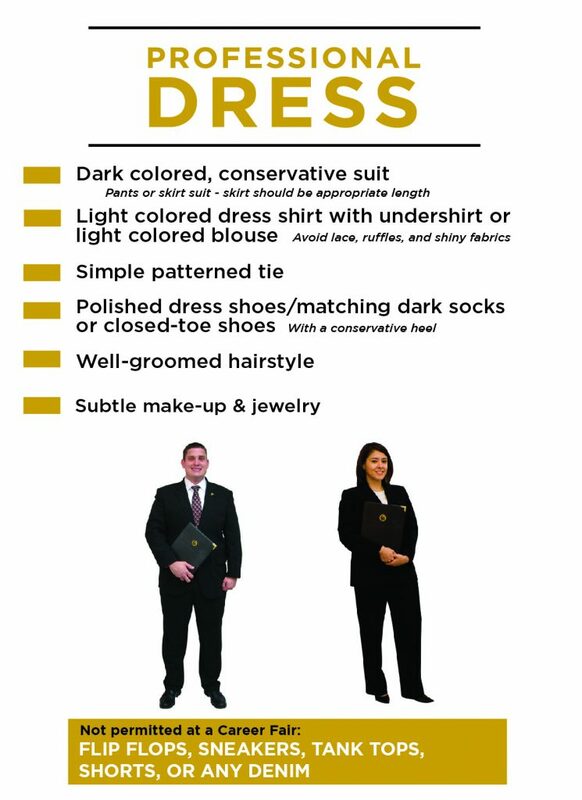 Dress for success! Professional attire is always required at Career Events! Anticipate and practice possible questions. "Students who don't know what we do, that's a deal-breaker."